The Franklin Institute is using AR to enhance their Terracotta Warrior exhibition which will be displayed in Philadelphia until March 2018. 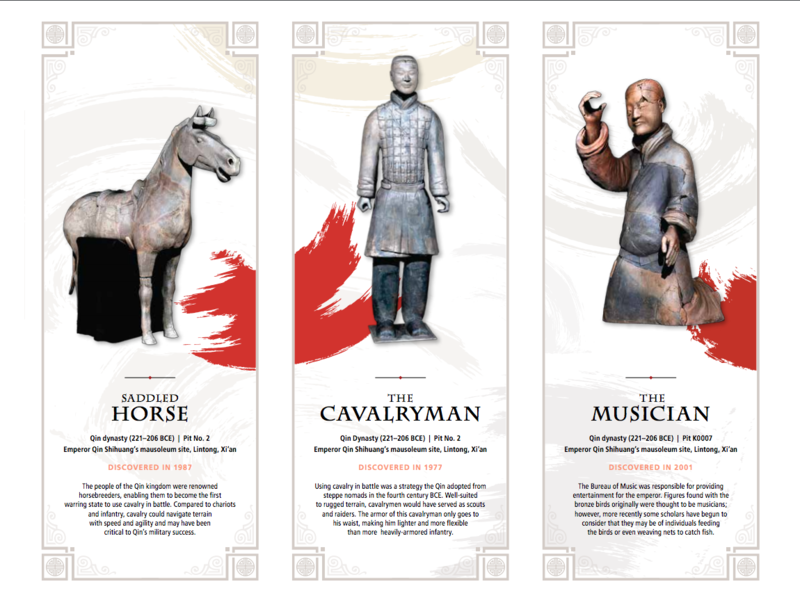 The museum’s app, powered by Wikitude technology, allows visitors to use their smartphone to scan items and visualize rich AR content to learn even more about the intriguing history behind the magnificent clay soldiers. The app contains, furthermore, a Mobile Warriors feature where users can create their own army by digitally posing terracotta soldiers in any given space. A screenshot of the displayed personalized army can then be shared on social media. The iconic science museum used photogrammetry and a structured light system and united it with Wikitude´s powerful SLAM technology to create the fascinating digital reproductions of the soldiers and their bronze weapons in their original conditions. Wikitude’s SLAM technology makes it possible for apps to recognize objects, instantly track the world, and to add digital interactive augmentations. 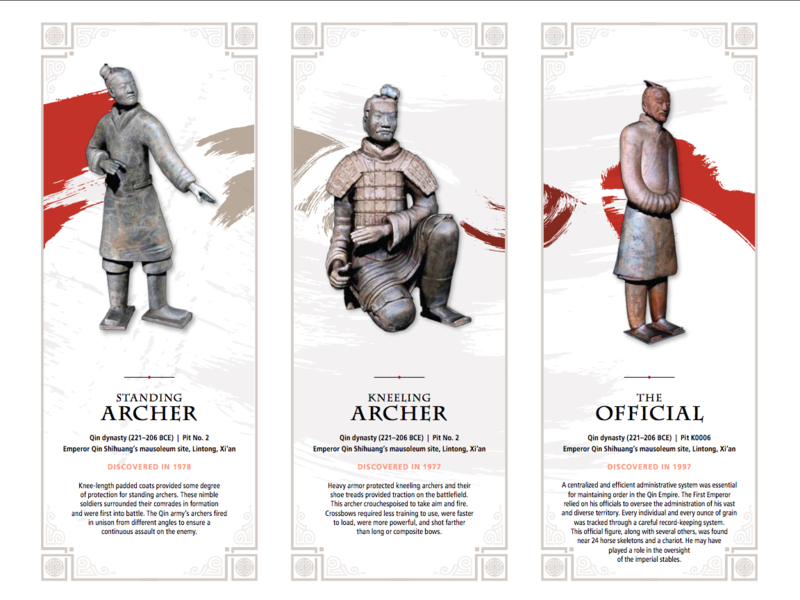 For those planning on visiting the engaging new take of Terracotta Warriors of the First Emperor, one of the most outstanding archaeological discoveries of our time, or for those interested in displaying the ancient army within digital view, should download the Terracotta Warriors AR app available for both Android and iOS. 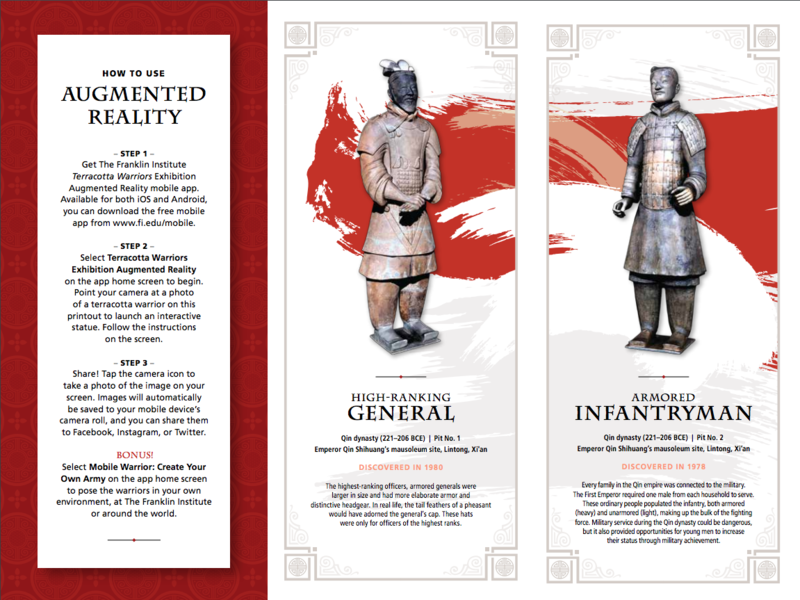 Get the downloadable PDF with the target images that will activate the augmented reality (AR) experience in The Franklin Institute’s free Terracotta Warriors Augmented Reality Mobile App.